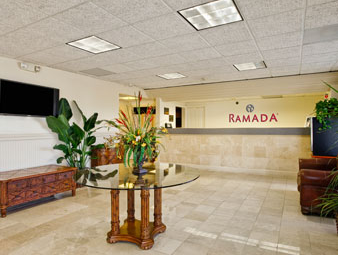 Make your visit to Sarasota a rejuvenating experience at Ramada Sarasota hotel. 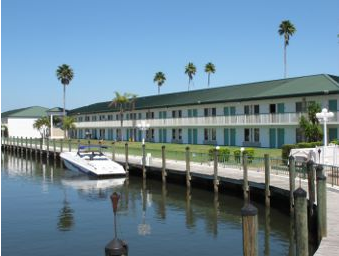 Located off Route 41 on the Sarasota Bay waterfront, near the Sarasota/ Bradenton International Airport is just minutes from beautiful white sand beaches. Enjoy spacious hotel rooms with modern style and thoughtful amenities to help you stay refreshed during your stay. Free Wi-Fi internet access throughout the hotel keeps you connected, and the gym makes it easy to keep up your workout routine. Also features guest laundry facilities, free parking with large -vehicle spaces and non-smoking and handicapped accessible rooms. After a restful sleep, wake up with free continental breakfast or a morning swim in the outdoor pool. Relax at one of the nearby beaches, including Siesta Key Beach. Lido Key and Anna Maria Island. Browse a unique collection of stores at St. Armands Circle, just seven miles away, or explore the streets of downtown Sarasota. For a peqacful afternoon, enjoy the exotic flora and fauna throughout the 10-acre Palma Sola Botanical Park or walk through the beautiful Marie Selby Botanical Gardens. Enjoy a great meal just steps from your hotel room at the on-site Bearded Clam Waterfront Restaurant & Tiki Bar, featuring daily live entertainment. The Banana Factory and Crager's Restaurant both offer a casual atmosphere within walking distance. Try raw oysters and local seafood at Anna Maria's Oyster Bar, or share a pizza with the family at Vertoris Pizza House. Room service is also available. We offer 9,000 square-feet of meeting space across five rooms, and our largest room accommodates parties of up to 700 guests. Audio/ visual equiment is also available. Need to get work done away from the office? Take advantage of the business center. 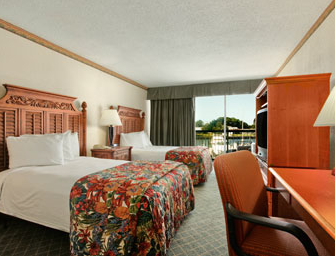 Ramada Sarasota is the perfect Sarasota lodging choice for your trip to Florida. With numerous amenities for guests such as 24 hour front desk, fitness center, restaurant, you will wake up at Ramada Sarasota feeling ready to go every day for your time in Sarasota. 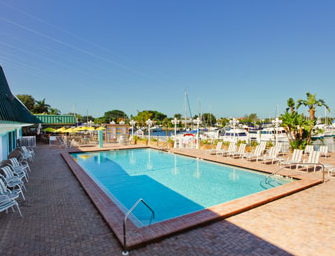 Don’t let this amazing reservation opportunity pass you by, book your stay at Ramada Sarasota today to make the most of your time in Sarasota, Florida.